Postdoctoral Fellowships are intended for outstanding candidates with recent PhDs (please see eligibility criteria below) who wish to conduct autism-related research at MIT under the mentorship of MIT faculty researchers. Applicants currently completing their PhD outside MIT (external candidates), who wish to carry out postdoctoral research at MIT, are strongly encouraged to apply. PhD dissertation defense date or MIT postdoc start date (whichever is earlier) must be within two years of the fellowship application deadline date. These prestigious fellowships are open to candidates nationwide. They are designed to enhance and showcase autism research at MIT and are awarded to candidates with truly excellent scientific accomplishments, who propose innovative research bridging at least two different labs. MIT faculty members are encouraged to bring these fellowships to the attention of exceptional candidates who wish to come to MIT for postdoctoral training as Simons Fellows. 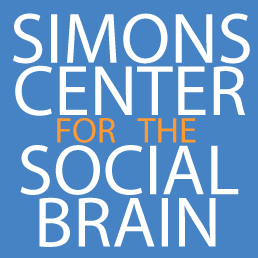 Simons Postdoctoral fellowships provide a competitive stipend plus an allowance for health insurance, travel and research-related expenses. The fellowships are awarded for 2 years, with the second year conditional upon satisfactory progress at the end of the first year. Applicants must complete and submit a Fellowship Application (cover page + supplemental documents). Applications must include Biosketch in the NIH R01 format (maximum 5 pages), training proposal (maximum 4 pages) including: training goals, project summary, specific aims, background, preliminary data if any, and experimental design and methods. References cited can be listed on additional pages. The primary advisor must provide a statement containing a mentoring plan, and a CV in the NIH format. External applicants do not need to submit a secondary advisor statement. Awardees will select a secondary advisor during the first six months of their award. The applicant should submit the cover page as well as a combined file including all other application components via email to scsb-funding@mit.edu. In addition, applicants must request three letters of recommendation. At least two letters should be from respondents with whom the candidate has worked directly, or who have first-hand knowledge of the candidate. Candidates are responsible for ensuring that these letters are submitted directly by respondents via email to scsb-funding@mit.edu. Applications will be reviewed by a panel of expert reviewers. Funding decisions will be made by the steering committee of the SCSB. Q: What are the dates of SCSB funding? A: SCSB has two rounds of funding annually. The deadline to apply is typically: last Friday of February for the Spring round and last Friday of September for the Fall round. A: You have until 12:00 AM on the application deadline date to submit your application. Q: Am I eligible to apply for a Postdoctoral Fellowship? application date. Unfortunately, you are not eligible If you received your PhD prior to 2 years of the application submission deadline. Q: Am I eligible to apply before my PhD defense for beginning a fellowship shortly thereafter, or must I have degree in hand to be eligible? A: Yes, you can apply based on the assumption that you will receive your PhD around this timeframe. However, the start date of your fellowship (if selected for funding) will have to be after receiving your Ph.D.
Q: The page-limit for the proposal is 4 pages. Does that include a reference list/bibliography, or can the reference list be appended after the 4-page limit? A: The four-page limit does not include your reference list. Q: What is the current funding level? A: The postdocs funding level is determined by the Postdoc’s current stipend, Home Department funding levels, NIH minimums, and PhD year. Q: Will SCSB support foreign postdocs? A: SCSB will support a foreign postdoc as long as he/she plans to join a lab at MIT. Q: What is the application process for the second year of funding? A: Our Program Administrator will reach out to you in advance of your Year 1 end date. You will be required to complete a renewal application form in advance of the next round of funding. The renewal application only requires a supporting letter from your Primary advisor. Q: What are the requirements to reapply for funding? Cover page (can be downloaded from our website Funding page). A revised proposal that includes: a point-by-point responses to reviewer’s comments, a new letter of recommendation from your lead PI. Please use your discretion regarding the external letters of recommendation (which are dated). You can request new letters or update your recommenders based on the feedback you have received. Q: If I am an external applicant (currently not at MIT) how long do I have to identify a secondary advisor? A: If you are an external postdoc, joining an MIT lab, you will need to identify and select a secondary advisor during the first six months of the first year of funding. Ideally, the co-mentor should be at MIT or in the Boston area. Q: Once funded, how can I spend my Fellowship allowance? Health insurance (calculated using the MIT Affiliate Medical Plan). Some postdocs choose to cover spouses/family with their allowance. Please contact your fiscal and HR representatives for more information, as the insurance is handled by your home department. Travel expenses are limited to $4,000 per year per individual to attend scientific meetings directly relevant to your Simons research grant. Research allowance to cover costs directly related to the fellow’s research (e.g., lab supplies, equipment, software, publication costs). Please discuss these requests directly with your PI. Purchases should be made through your home department Fiscal Officer. For any tax related questions, please contact your home department HR.